Be good at EVERYTHING with a higher IQ! Want to be a natural problem solver? To be good at math and have an impressive vocabulary ? INSTANTLY? This phenomenal audio recording will help you tap into your intelligence and increase your IQ from the inside out! 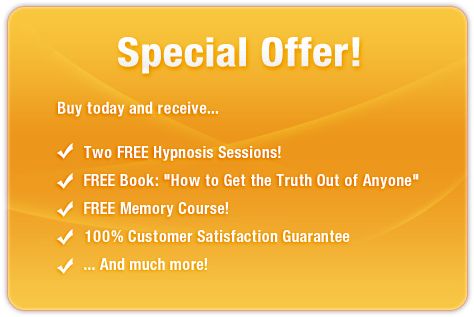 Using the latest in subliminal messaging technology, Increase Your IQ will deliver thousands of positive, stimulating, subliminal messages directly to your subconscious ? helping you work smarter and faster to reach your full potential! And it?s 100% risk-free! If you?re not completely satisfied with your increased intelligence, let us know within 90 days and we?ll refund your order in full. Don?t let your brain cells go to waste! 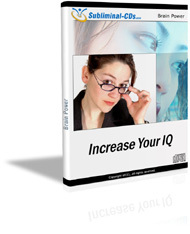 Purchase Increase Your IQ TODAY and enjoy the benefits of this amazing technology immediately! I am an IQ test expert!